2016 release. 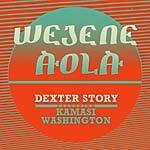 Los Angeles-based Dexter Story hooks up with long-time friend and compatriot of music, the saxophonist, jazz composer, producer, and band-leader Kamasi Washington. A fierce, rumbling electro Ethio-funk groove provides the platform for an intense and powerful interplay between Washington on tenor sax and Todd Simon on trumpet. 2015 release. On his debut Soundway release, multi-instrumentalist Dexter Story distills his diverse background in soul, funk, jazz, and folk idioms into his own unique and worldly voice. Borrowing from Ethiopia, Eritrea, Sudan, Somalia, and Kenya, this collection of East African-influenced music is a testament to Story's decades of dedication to artistic excellence. LP version. 2015 release. 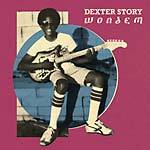 On his debut Soundway release, multi-instrumentalist Dexter Story distills his diverse background in soul, funk, jazz, and folk idioms into his own unique and worldly voice. Borrowing from Ethiopia, Eritrea, Sudan, Somalia, and Kenya, this collection of East African-influenced music is a testament to Story's decades of dedication to artistic excellence.